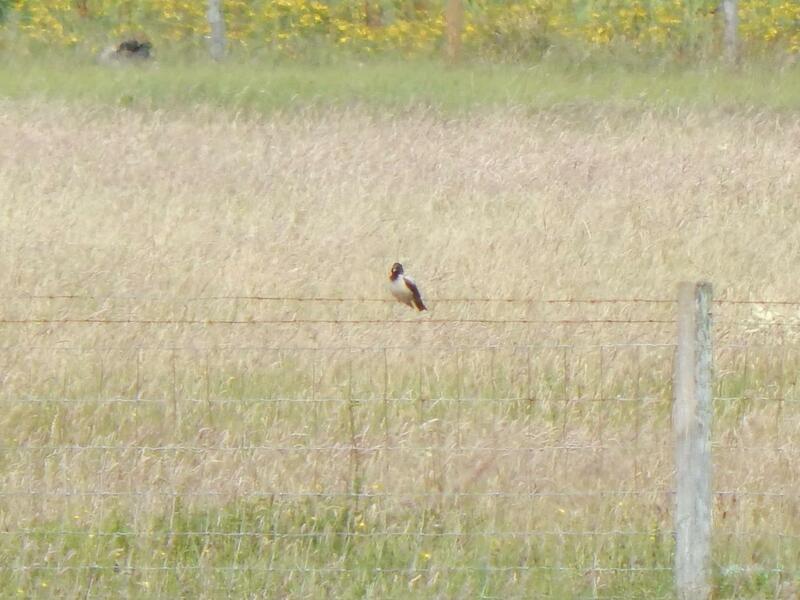 MID-ARGYLL: At the Add Estuary this morning – 6 Greenshank and 9 adult Dunlin. 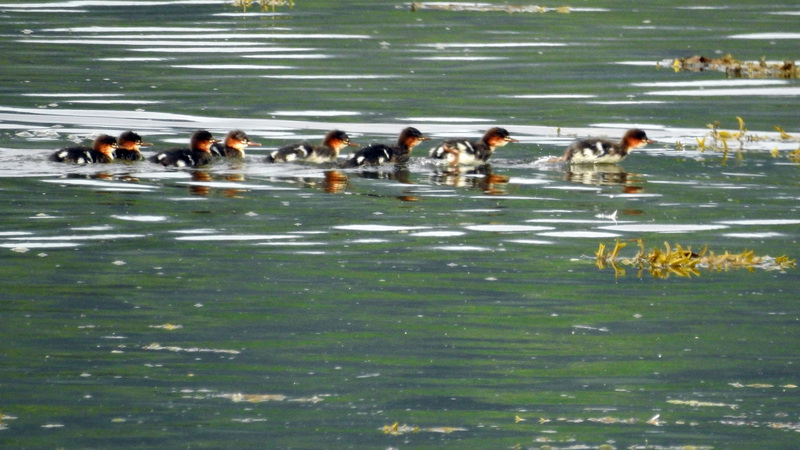 A female Red-breasted Merganser with 17 ducklings was presumably from one duck however a female with 25 ducklings was more likely from 2 laying ducks (Jim Dickson). 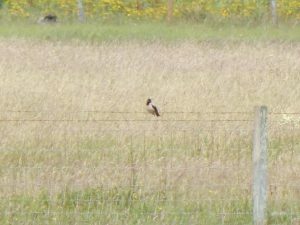 TIREE: Rosy Starling found along south edge of Loch a’ Phuill this morning (Andy Robinson) and still showing well there this afternoon (John Bowler/ Toby Green). 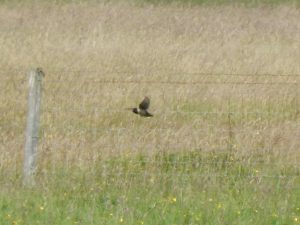 67 Golden Plover at Sandaig (Toby Green). ROSY STARLING – Loch a’ Phuill, Tiree 17th July (John Bowler). 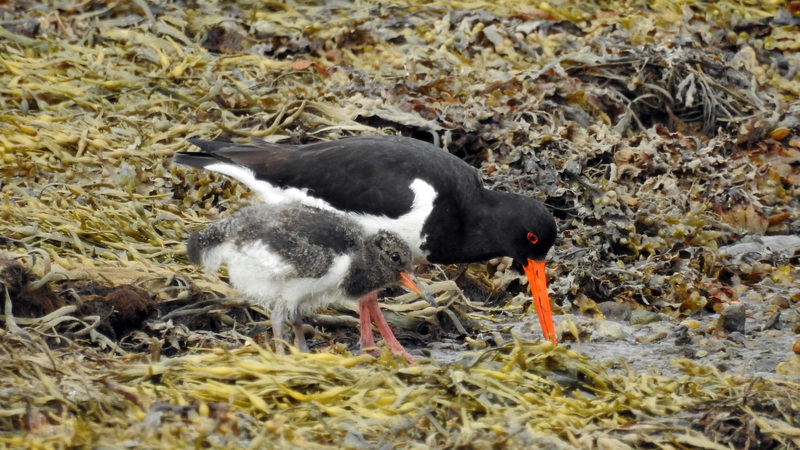 OYSTERCATCHERS – Add Estuary, Mid-Argyll 17th July (Jim Dickson). 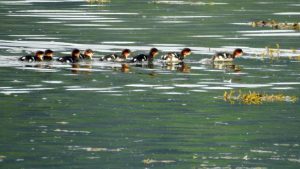 Mergansers – Add Estuary, Mid-Argyll 17th July (Jim Dickson).